There has been a recent revolution in thought process regarding how we view the aging face and in the optimum way that cosmetic surgeons can combat aging to restore a more youthful appearance. Until recently, the effects of gravity were considered the prime cause of facial aging and tissue tightening and lifting procedures (i.e. 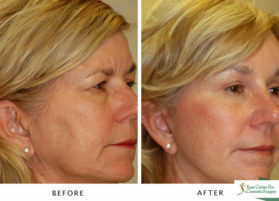 facelift, brow lift, eyelid surgery) were considered the only methods of combating this process. Slide the image from left to right! 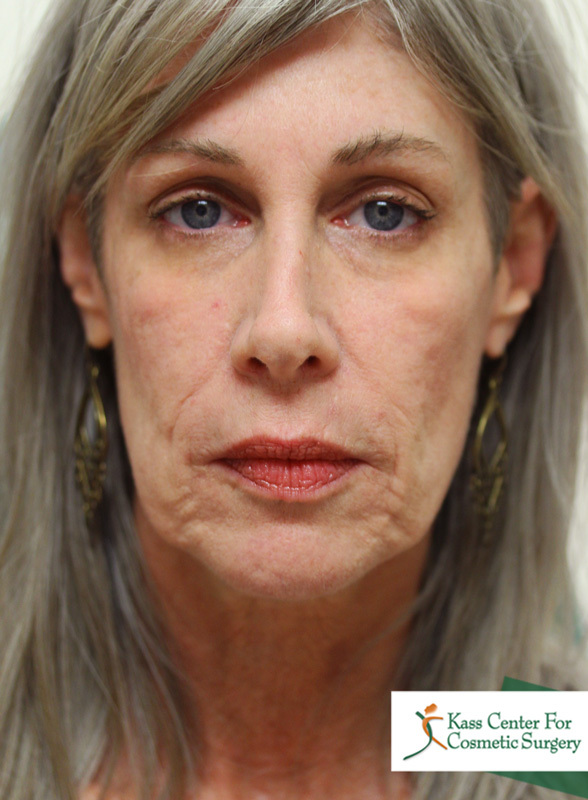 We now know that volume loss is a major component to overall aging and that all the lifting and tightening in the world may not be always successful in achieving facial rejuvenation unless facial volume is restored. Think of the youthful face as a nice, round, plump grape. Over the years, this grape becomes a raisin with loss of volume. Similarly, loss of facial volume as we age makes it look like the face has redundant skin. The effect of removing this skin with traditional surgical techniques (i.e. facelift, brow lift, eyelid surgery) without addressing the attendant volume loss with a facelift is analogous to transforming this raisin into a pea. The pea might not have excessive folds but it will still look aged because it is still a pea and is not a nice, round grape. Therefore, returning the raisin to a grape, or an aged face to a youthful one, requires restoring the volume that is at least partially responsible for these aging changes. Is volume expansion then, the only means of restoring a youthful countenance? Should we discard all other means of achieving facial rejuvenation? No, of course not. Dr. Kass believes that there are three integral parts related to achieving facial rejuvenation. 1. The first relates to the effects of gravity and are corrected with the traditional lifting procedures such as facelift, brow lift, eyelid surgery. There will always be a place for these tried and true procedures. New advances in surgical techniques have resulted in shorter incisions and faster recovery. 2. The second is related to the normal loss of volume which occurs with age. There is a revolution in correcting this volume with facial fillers and there are hundreds of such fillers on the market trying to vie for your dollars. However autologous (from your own body) fat is much better (and cheaper in the long run) than commercially available fillers. 3. The third component necessary to achieve facial rejuvenation is improving the quality of the skin by reversing the deleterious effects of the sun, This can be corrected with the Hetter Facial Resurfacing / croton oil Peel (see separately). Fat is a wonderful filler when used properly. 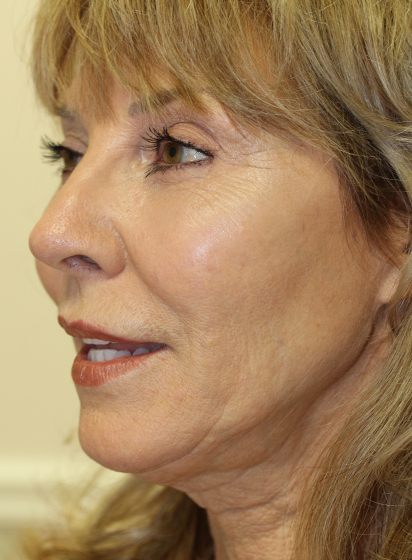 Facial Fat Transfer is not used to treat a particular line or wrinkle. Instead, it is used to restore diffuse facial volume by refilling your face and correcting the universal volume loss which occurs as we age. Facial Fat Transfer is also called autologous fat injections or Microlipoinjection. 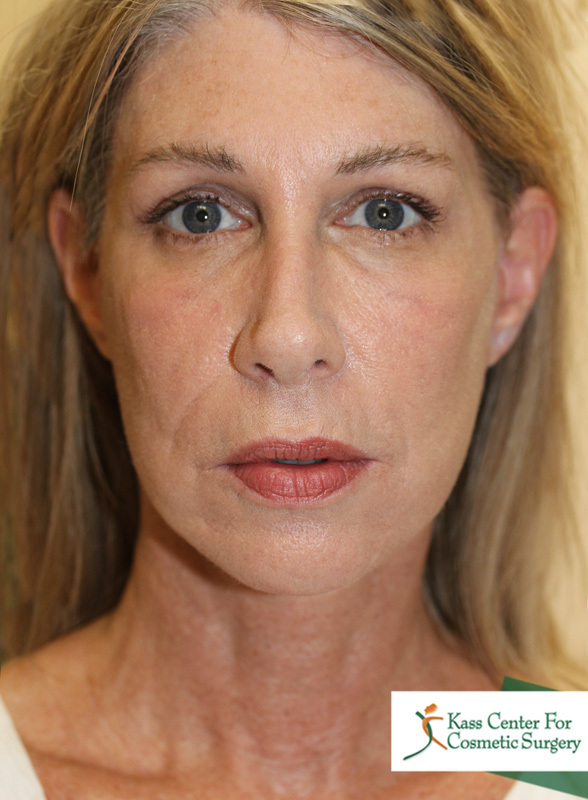 But no matter what you call it, Facial Fat Transfer is revolutionizing facial (and body aesthetic surgery too!). There are NO incisions! The results are natural, versatile, and safe. 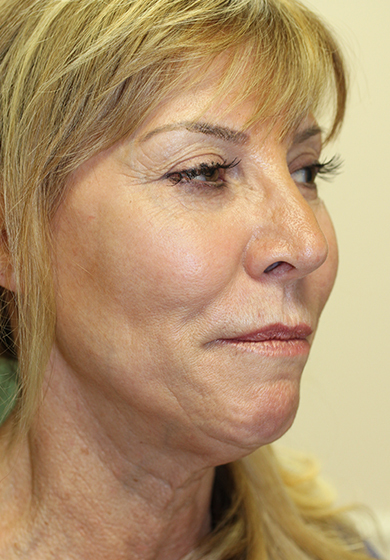 Without doubt, Facial Fat Transfer is THE preferred method of facial volume enhancement. And absolutely at least some of the benefits derived from this procedure are very LONG-LASTING if not outright PERMANENT! Dr. Kass believes that an informed patient needs to understand that all three components go into how others judge the appearance of your face. He believes that there must be an integrated approach to facial rejuvenation which combines lifting procedures with volume enhancement and with skin resurfacing. A combination of techniques, a combination of approaches, a willingness to consider all options are truly necessary to achieve the optimal results for each individual patient. There is no single treatment that can achieve everything for every patient. Each patient must be viewed separately and individually. Beauty lies in the beholder. Every person may have a different idea as to what constitutes beauty and what treatments will be necessary to achieve the desired results. 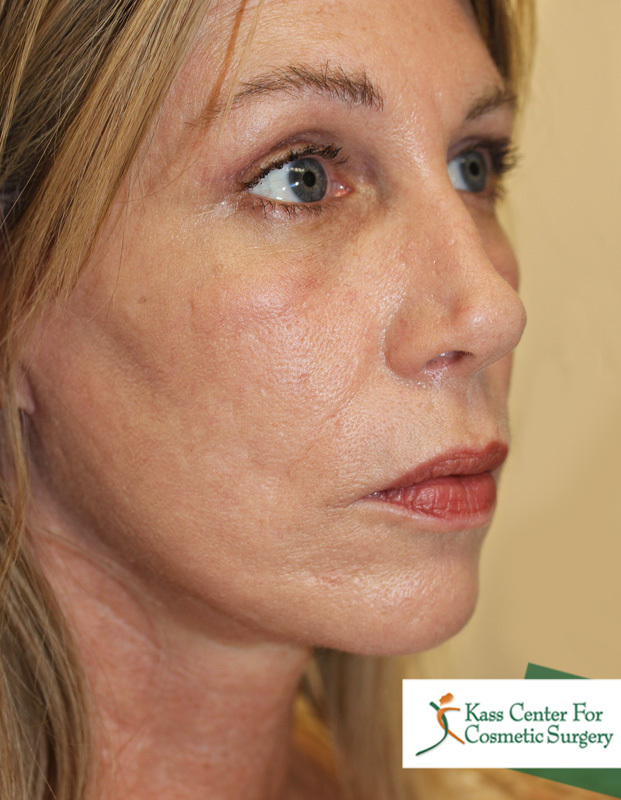 Dr. Kass believes that Facial Fat Transfer is a wonderful procedure removing fat from unwanted places and placing fat where it can achieve the greatest good for you. Please ask him if Facial Fat Transfer is right for you! 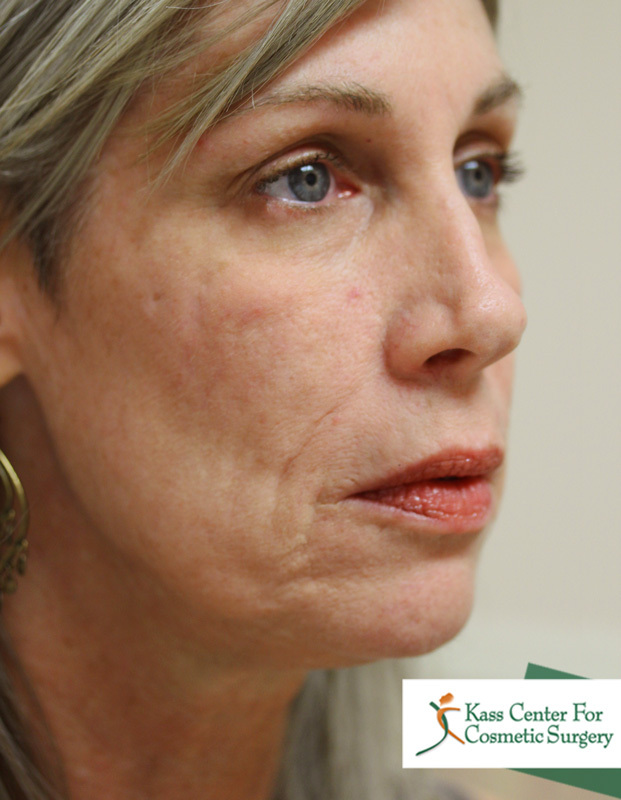 This 55 year old hospital administrator hated the appearance of her eyes and the hollows of her face. Along with other procedures she also received a Facial Fat Transfer Procedure. Note how natural she looks after this surgery. 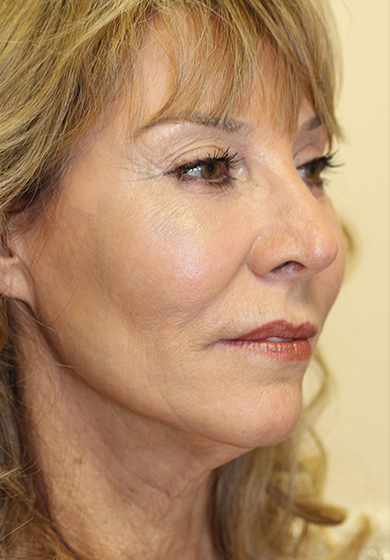 There is tremendous facial rejuvenation gained simply from filling the cheeks and facial hollows which could only have been achieved with Facial Fat Transfer. The patient could not have been happier!